Tai'an Taishan Construction Machinery Co., Ltd. is located in the eastern foot of Taishan, registered capital of 50 million yuan, is a scientific research, development, production and services as one of the scientific and technological joint-stock enterprises, is China's largest oil and gas pipeline construction equipment professional machinery manufacturers, Internationally renowned pipe manufacturing enterprises, but also the International Association of pipeline contractors equipment manufacturers member units. The company's leading product "Dai-feng" brand DGY15-90-type tracked pipe machine by the National Science and Technology, AQSIQ and other ministries jointly named the "national key new products", the Shandong Provincial Quality and Technical Supervision identified as "Shandong famous brand product". Companies with good product technical performance, excellent product quality and warm and thoughtful after-sales service has been the major domestic and foreign pipeline construction users trust. "Dai Feng" brand products are mainly sold in the domestic oil pipeline bureau, Daqing, Liaohe victory, Xinjiang, Changqing, Central Plains, Tuha and other major domestic oil construction, pipeline construction units, the domestic market share of more than 85%; and Successfully opened up the international market, the products are sold to Russia, India, Saudi Arabia, Kazakhstan, Sudan, Greece, Algeria, Cuba, Colombia, Brazil and other countries. "Dai-feng" brand products involved in the construction of many major pipelines at home and abroad, especially the national key project "West-East line and second-line" project, Russia's "Sino-Russian oil and gas pipeline", India's " For the successful completion of these key projects made a great contribution, has been praised by users: "pipeline construction, preferred Dai Feng." The strength of the company's technology, now has 54 aircraft and other products of the patented technology, and one-time success through the quality, environmental and occupational health and safety management of the three system certification; company's "crawler pipe machine" industry standard JB / T10136-19999) and "earthwork machine piping machine terminology and commercial specifications" national standard (GB / T22352-2008) to become China's pipe manufacturing technology base. Relying on the company established the "Shandong Province pipeline mechanical engineering technology research center" by the Office of Science and Technology of Shandong Province as "outstanding engineering and technology research center in Shandong Province." 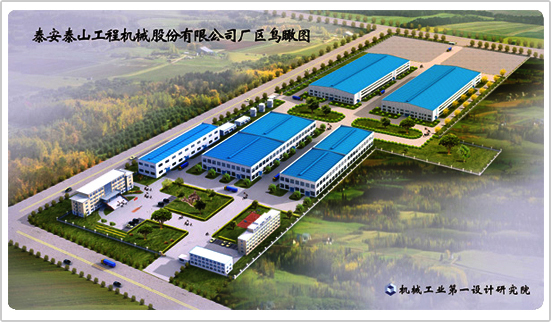 The company with its outstanding achievements, good reputation and integrity of the image of the community has been praised by the community, is the "national high-tech enterprises", "national key scientific and technological achievements to promote the project technical support unit", "National Torch Plan focus on high-tech Tech enterprises "," state-level Shou contract re-credit units "," provincial civilized integrity unit "," Shandong Province machinery industry independent innovation advanced unit "," AAA grade credit enterprise "and so on.